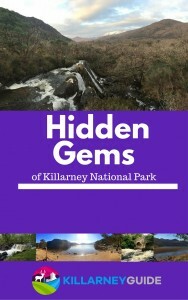 Thousands of visitors flock to Killarney every year to experience the wonders of Killarney National Park and its environs. The natural beauty of the park provides a multitude of attractions and activities for all to enjoy. Over the years, evening entertainment has become an integral part of the Killarney visitor experience. As evening draws in, music chimes from many of the bars & restaurants in the town. The INEC at the Gleneagle Hotel plays host to national and international music acts throughout the year and street performers reverberate around the streets. In more recent years, Killarney has been bolstered by arrival of high quality Irish music, song and dance live shows. Gaelic Roots : The Show is the latest addition to the ever-growing evening entertainment roster in Killarney. Gaelic Roots – The Show is based at the Killarney Avenue Hotel in the centre of Killarney town. Located adjacent to Killarney cinema and the entrance to the National Park at Killarney House, the venue is within walking distance of several restaurants, bars and hotels nearby. From the outset, the show will draw you in and keep you captivated throughout the evening. The intimate venue and interaction from the performers means that the audience are very much part of the show. Following a theme throughout the show, the mix of song, music and dance takes you through a journey of Irish history through the medium of music. The blend of the entertainment on offer is the beauty of the show. Haunting ballads and singalongs are complemented by the beautiful strains of the harpist. The energy of the dancers will leave you breathless! The music that accompanies the song and dance is top quality – if you are a fan of Irish music, you’re in for a treat. Running from April – October every year, the venue features elevated seating and is fully accessible to all visitors. The venue fills up very quickly so be sure to get there early to get a good seat. Doors open at 8 pm with the show commencing at 8:30 pm sharp. The fast-paced show runs for approximately two hours, with a 15 minute intermission. There is a chance to greet the performers at the end of the show. Dinner and a show is well established as a great way to spend an evening. Top quality eateries In Killarney have been delighting diners for generations. Live evening entertainment is now matching the quality of dining and has greatly enhanced the experience for those looking to be entertained as they digest. In Killarney, you are now spoiled for choice when it comes to live shows featuring Irish music, song and dance. The arrival of Gaelic Roots : The Show is a most welcome addition to the entertainment mix. Get a 15% discount on Gaelic Roots : The Show. Simply mention ‘Killarney Guide‘ when booking to claim this discount. Please call +353 (0)87 462 9929 or email info@gaelicroots.ie to book your tickets. Subscribe me for updates please! Will you be having a show over the St Patrick’s weekend ?? ?